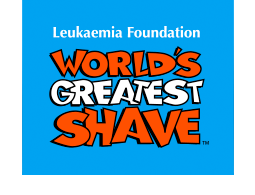 You may have already heard, but you may not have donated yet... our very own Triple Top is shaving her head for Leukaemia next Sunday! And the day after (Monday 11 March), with barely a stubble on top she will set a run for us from her home opposite the Sheffield Tourist Centre loos on Pioneer Crescent. Now kindly make a handsome donation so that TripleTop feels encouraged to shave all the extra bits of fluff: <donate now>.